China's phenomenal economic growth has come at a serious environmental cost. According to the World Health Organisation, China is the world's deadliest country for air pollution - more than one million deaths in 2012, followed by India (600,000) and Russia (140,000). Water pollution is also pervasive. In 2014, 15.7 per cent of the country's groundwater was found to be "very poor", and another 44 per cent relatively poor. Only 3 per cent of urban groundwater sources can be classified as "clean". In North China plain, covering some 400,000 sq km, 70 per cent of groundwater is unfit for human contact. Air and water pollution are visible. On the other hand, heavily contaminated soil may have a vegetation cover just as lush and green as a healthy one. Equally, air and water pollution can be controlled within a decade, but cleaning soil pollution not only takes decades but also is expensive. For example, removal and cleaning of only 1,200 cubic metres of soil, over 6.5ha, in Love Canal, the United States, took 21 years and millions of dollars. The West's environmental conscience was awakened only in the 1970s, after the countries had made very significant economic progress and the population became aware of its heavy economic and health cost. China, after heady economic growth for some 35 years, has now entered a similar stage. 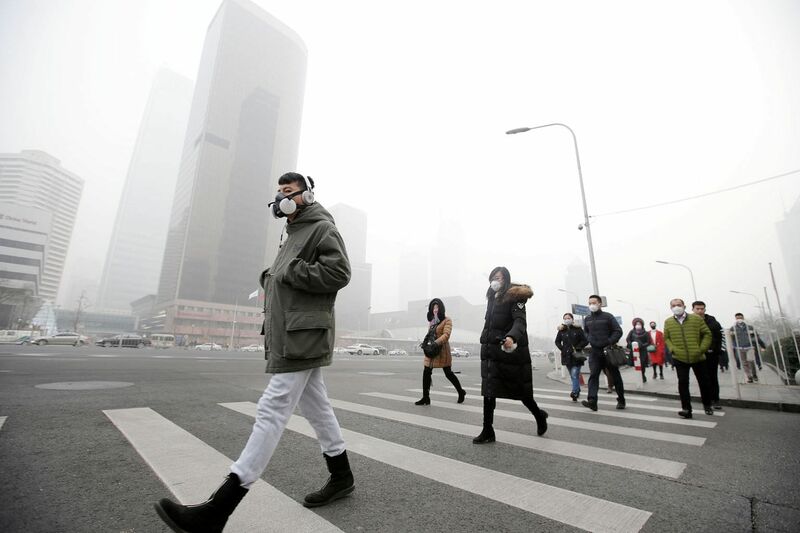 As the effects of environmental pollution in China have become more devastating and visible, the government strengthened its Environmental Protection Law this year for the first time in a quarter of a century. The new law stipulates that local officials complicit in environmental transgression can be fired or demoted, business leaders who do not comply with the regulatory requirements to control pollution can be detained for 15 days, and violators whose actions can be considered to be criminal can be prosecuted. Fines for factories are not capped. Companies violating environmental standards may have their utilities cut, equipment confiscated, or be shut down. Companies violating standards may have six months to comply and, if they do not, they will be closed. Earlier pollution fines were so low that it was cheaper for factories to pay the fines than take corrective action. Equally, enforcement and implementation of the laws were weak and often non-existent. In addition, central government had limited real power over local government officials in the front line of implementing environmental compliance. The latter's main performance indicator was simply economic growth. Polluting companies often were important generators of economic activity. So local government officials had a strong incentive to turn a blind eye to environmental violations. Two things changed that. During the National People's Congress in 2014, Premier Li Keqiang said: "We will declare war on pollution and fight it with the same determination as we battled poverty", and environmental pollution had become "nature's red-light warning against the model of inefficient and blind development". In July this year, President Xi Jinping informed all ministers and governors that environmental pollution control would be one of the country's top three priorities along with poverty reduction and managing financial risk. An army of 5,600 inspectors from the Environment Ministry and the Communist Party's anti-corruption watchdog and personnel unit was dispatched to the provinces to see how local officials were protecting the environment. The first of four rounds of inspection started last July, following a successful pilot exercise in Hebei province. During the first three rounds, 18,000 polluting industries were fined over 870 million yuan (S$178 million), and more than 12,000 officials were disciplined. In the fourth round, by Sept 5, another 5,600 companies were punished and fined 280 million yuan. The effectiveness of the inspection team lies in the fact that it included officials from the Party who can punish municipal and provincial officers for not taking their environmental tasks seriously. This affects their career prospects because party rules bar them for promotions for six to 24 months. The weight given to environmental protection in an officer's performance evaluation has increased all over the country. In Beijing, it accounts for nearly 30 per cent of their score. By internalising environmental protection measures in party cadres' performance evaluation, officials hoping for promotion now take environmental issues seriously. The courts have also started measures against polluters. Last July, a court in Shandong province imposed an unprecedented penalty of 22 million yuan on a glass manufacturer, Zhenhua Ltd, for emitting toxic gases containing 255 tonnes of sulphur dioxide, 589 tonnes of nitrogen oxides, and 19 tonnes of dust particles between November 2013 and February 2015. The following month the factory was ordered to be closed. Such strong action is changing the industrial structure by forcing low-end polluting industries to either become more environmentally efficient or shut down. Because of these new environmental safeguards, there will have to be some policy adjustments. Many of these were outlined in the 13th Five-Year Plan, 2016-2020. They include introducing services and measures to reduce all types of environmental pollution with specific targets, increased efficiency of use of energy and other resources, and improved access to healthcare and education. This may reduce the annual growth rate target of the 13th Five-Year Plan to 6.5 per cent compared with 7 per cent for the 12th Plan. A result is that the focus will be on quality of growth - which could achieve a "moderately prosperous society" by 2020, contributing to doubling of GDP between 2010 and 2020. Over the short term of one to two years, undoubtedly there will be some disruption to the supply chain. However, the emphasis on environmental management will accelerate establishment of new industries for monitoring, protection and other management services. This, over the medium term, will more than make up for short-term losses in employment and economic activity because of rebalancing of the economy. China really has no other option but to meet its environmental problems head-on. Otherwise, the economic, social and health costs will become prohibitive. As Western countries learnt, economically and socially, it is far cheaper to live in a clean environment than in a polluted one. Equally, based on current trends, just as China grew economically at an unprecedented rate, it will also clean up its environmental pollution at a similar unparalleled rate. Asit K. Biswas is a distinguished visiting professor at the Lee Kuan Yew School of Public Policy, National University of Singapore. Cecilia Tortajada is a senior research fellow at the school's Institute of Water Policy.